Police have released the name of the man who died in a two-car crash Tuesday morning in Damascus, Maryland, as well as the passenger in his car who was severely injured. 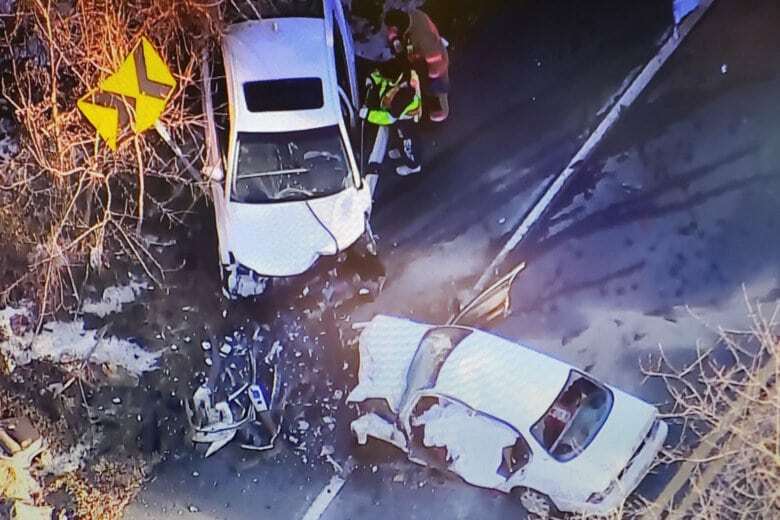 WASHINGTON — Police have released the name of the man who died in a two-car crash Tuesday morning in Damascus, Maryland. Montgomery County police said 32-year-old Wesley Delimon Tibbs III, of Mount Airy, Maryland, was driving a white 1997 Toyota Corolla northbound on Ridge Road when his car collided with a white 2015 Toyota Avalon traveling in the opposite direction. Tibbs died at the scene. His passenger, identified as 24-year-old Anna Victoria Young, was taken to a hospital with life-threatening injuries, but she is expected to survive, police said. Authorities had previously identified the driver of the Avalon as 46-year-old Khary Hiram Tolliver of Hagerstown. He was hospitalized with injuries that weren’t life-threatening. Police said they are still investigating what led to the crash, which happened in the 28500 block of Ridge Road, north of Kemptown Road. Anyone with information about the crash is asked to call the Collision Reconstruction Unit at 240-773-6620.